Have a special event that your planning? We can help! Whether big or small, our back yard petting zoo can be customized to fit your needs. Our baby animal parties are perfect for any celebration! Our traveling petting farm is available all throughout New England. The standard petting zoo is perfect for your back yard birthday party, church fair, or any type of event. A large sturdy pen will hold our baby farm animals. The pen is 10x10 and can hold 6-8 children at a time. The children may go in the pen to hold, brush, and pet the baby animals. We have a separate smaller pen for the little animals such as bunnies, baby chicks, and ducklings. We also have goats that are trained to walk on a leash so the children may take them for a walk around the yard. 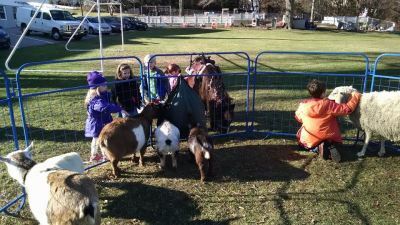 The petting zoo can accommodate between 6-8 children at a time. The animals included are baby goats, lambs, milking goats, chickens, ducks, bunnies, and baby chicks or ducklings (seasonal). You may add a baby donkey, alpaca, or mini pony for an additional $75.00. An indoor petting zoo is an option during inclement weather. We will provide a tarp to protect the floor and sweep up any waste asap. Looking for something bigger? A larger 16x18 pen with more animals is an option for fairs, carnivals, or other large events. 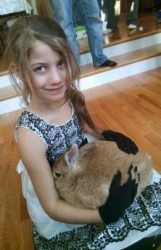 Our Deluxe Petting Zoo includes all the animals in our standard petting zoo including lambs, baby goats, chickens, baby bunnies, ducks, ducklings, and baby chicks. We bring more of the animals as well as provide a larger enclosure for guests to interact with them. 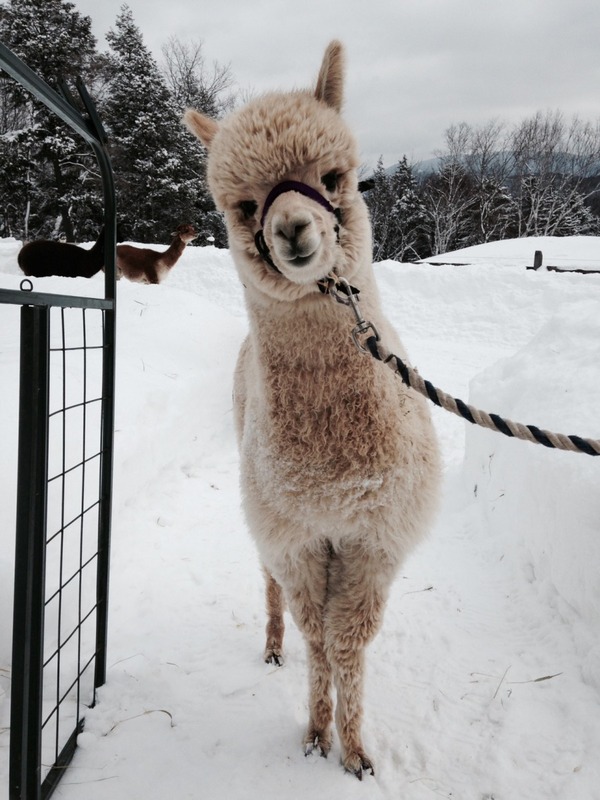 We also include a mini pony, our donkey Clarabelle, and our baby alpaca Ziggy. Our normal petting zoo enclosure is designed to accommodate approximately 8-10 adults, whereas our deluxe petting zoo is a 20’ x 20’ space designed for 15-20 people to interact with the animals simultaneously. Additionally we have the capability to make the enclosure handicapped/wheelchair accessible, or to bring the animals out to interact with any disabled guests. All of our animals are clean and we bath them before any event. In addition they receive an annual vet inspection with health certificates, vaccinations, and the farm is certified and inspected by the Town of Groton MA. Enchanted Animal Parties is a licensed riding stable in the Commonwealth of Massachusetts . We are also fully insured to provide for the safety of our customers, and no waivers are needed. Our animals are well behaved, socialized, and accustomed to being around people young and old. In addition we provide plenty of hand sanitizer to ensure both your health, and the health of the animals. Deluxe petting zoos are great for large gatherings. We most often are called upon for large fairs/carnivals, large church functions, city functions, fall festivals, spring festivals, tree lightings, and any gathering where your guests would enjoy the company of our animals. If you have any questions about whether a regular or deluxe petting zoo is appropriate for your gathering please contact us and we can discuss your specific needs. Please note our truck and trailer requires about 5-6 car lengths to park, and we request that parking is ready and available prior to our arrival. This allows us to park upon arrival and be able to quickly setup the enclosure for the animals thereby avoiding any delays. We will arrive 45min prior to set up for a large event.